World Amateur Radio Day is an annual observance held on April 18. It marks the anniversary of the establishment of the International Amateur Radio Union in 1925. The International Amateur Radio Union (IARU) is an international confederation of national amateur radio organizations that was formed on April 18, 1925, during a congress that took place in Paris, France. It has been the spokesperson for the world amateur radio community ever since. Currently, the IARU consists of more than 160 national member societies. The IARU is comprised of three regional organizations that correspond to the three International Telecommunication Union Regions. IARU Region 1 represents amateur radio operators in Europe, Northern Asia, Africa, and the Middle East. 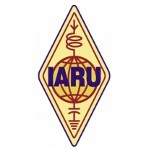 IARU Region 2 represents amateur radio operators in the Americas, and IARU Region 3 represents amateur radio operators in most of Asia, Australia, and the Pacific. World Amateur Radio Day focuses on celebrating the achievements of amateur radio communications. Events held on the occasion of the holiday can help spread the word about the development of amateur radio in the 21st century. On April 18, various radiosport activities are organized throughout the world by the IARU member societies.